TruePet Wellness Plans are healthcare packages designed to include annual healthcare services to keep pets happy and healthy. They are sold to veterinary hospitals for resale and include a customizable application, marketing materials and a team of people to help each hospital get set up and selling plans in no time. After building their websites and developing a cohesive look for their brand. 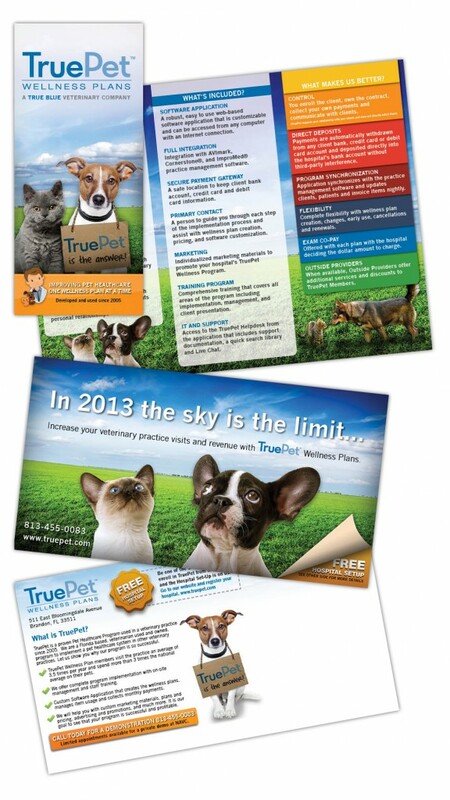 They also asked up to take over their print materials which range from their veterinary clients’ marketing materials to their own sales materials. We strive to keep their brand looking consistent as well as fun and professional.